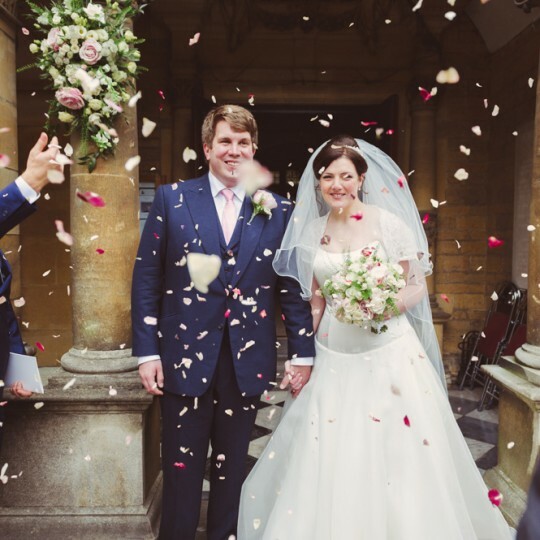 Jessica and Scott's wedding flowers at Dodmoor House, Northamptonshire - Joanna Carter Wedding Flowers | Oxford, Oxfordshire, Berkshire, Buckinghamshire and London. 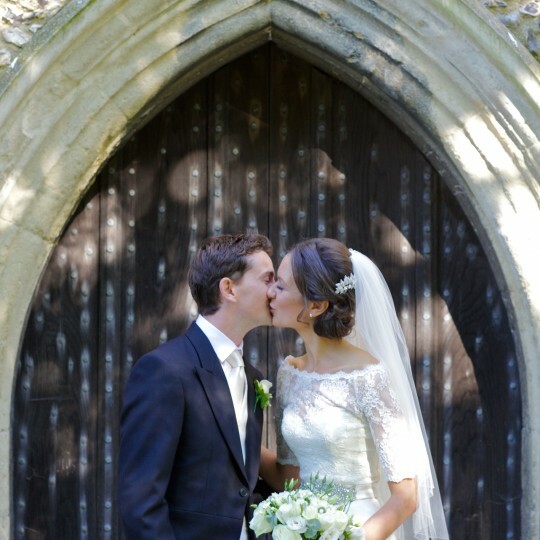 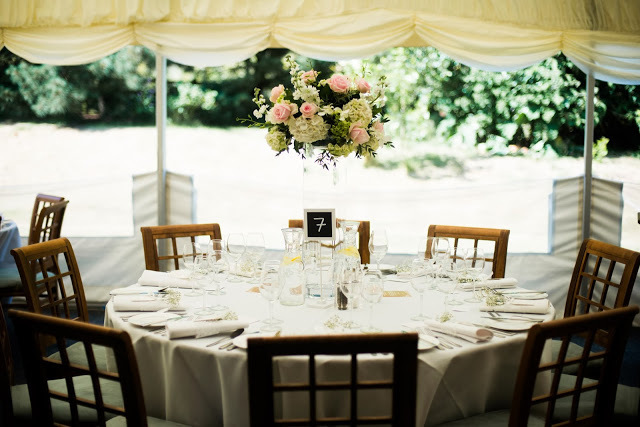 Jess chose a pale pink and white scheme with lots of lovely hydrangeas throughout. 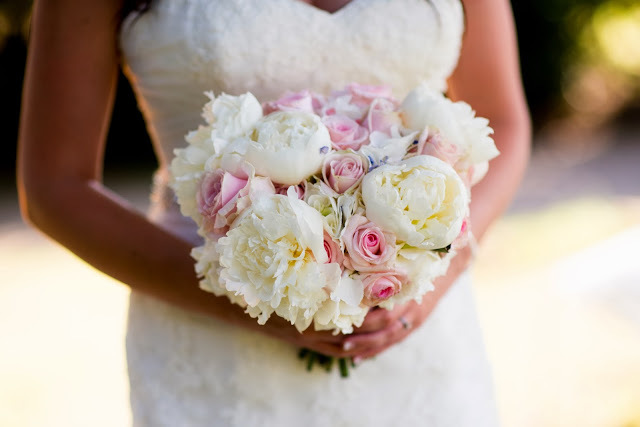 We used peonies, hydrangea, sweet avalanche and ballet roses for Jess’s bouquet. 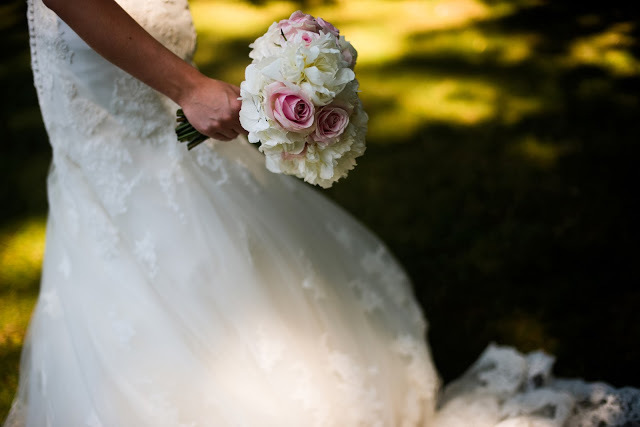 Soft and textured and a perfect fit with her gorgeous lace covered dress. 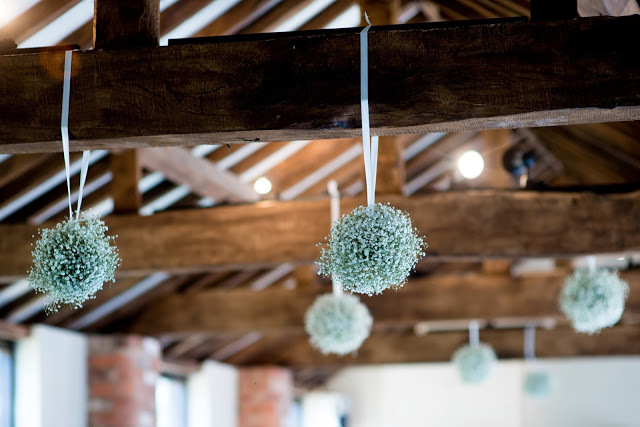 In the ceremony room we hung a dozen small balls of gypsophila from the ceiling beams. 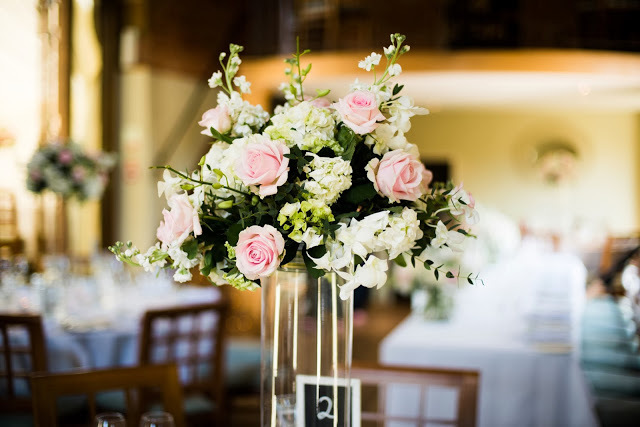 On the registrars table we placed a large vase arrangement of hydrangea, peonies, roses, stocks and singapore orchids. 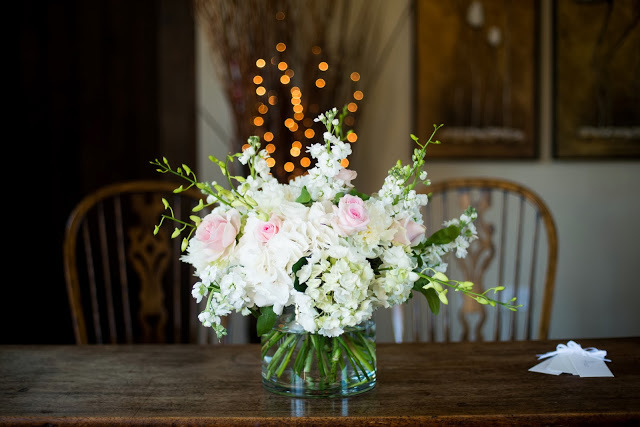 The guest tables had tall slim cylinder vases topped with a ball of hydrangea, roses, stocks, peonies and singapore orchids. 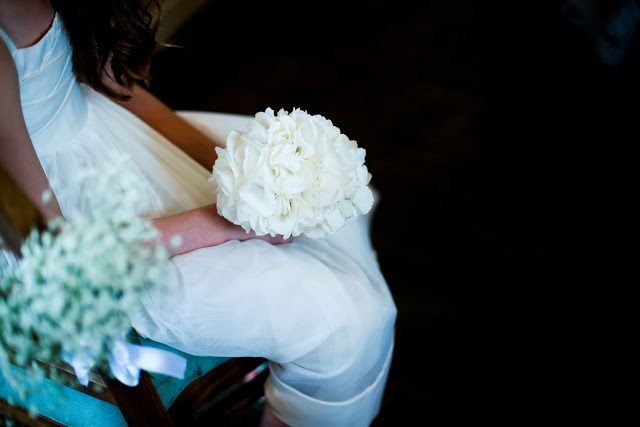 The bridesmaids all carried simple but stunning domes of white hydrangea. 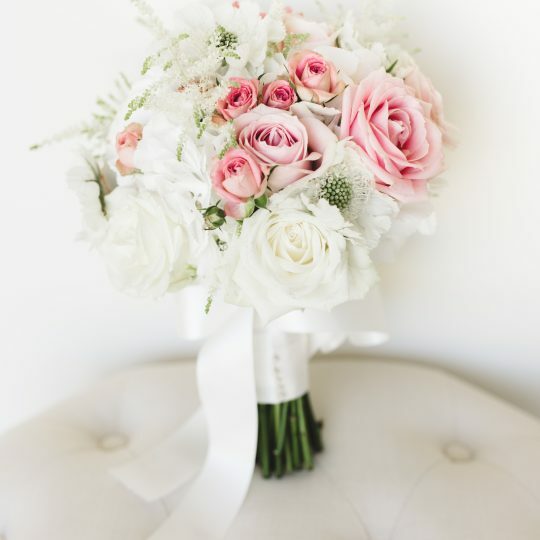 So effective. 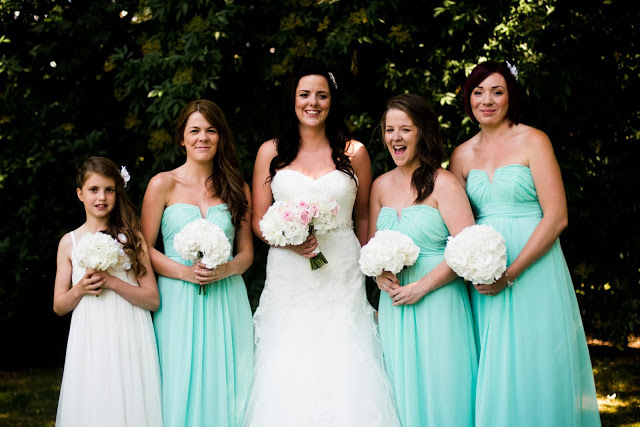 Jess and her lovely bridesmaids in their soft green dresses. 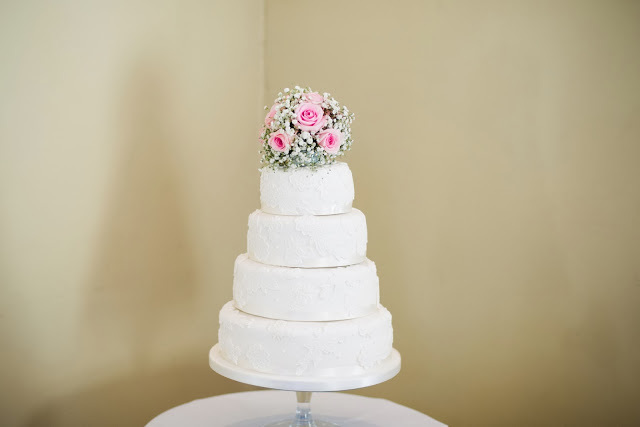 The cake was decorated with a lovely lace pattern and topped with a simple dome of roses and gypsophila.